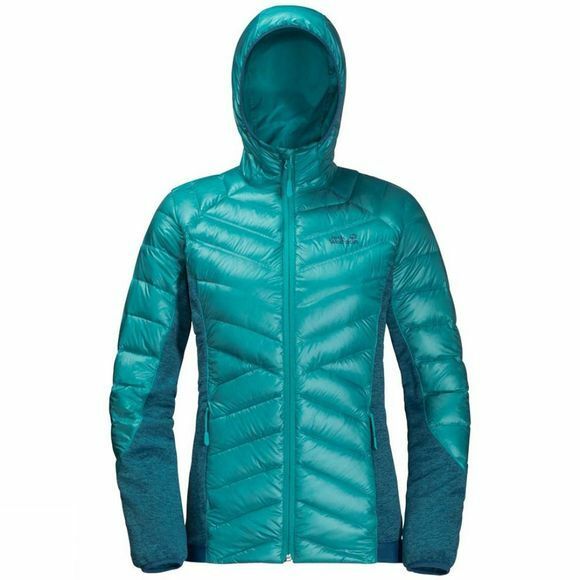 The Womens Stratosphere Jacket from Jack Wolfskin is a great Jacket for active Outdoor sports In Winter–and a top choice for cross country or alpIne skiIng. With its RDS certified Duck Down fill, this Hybrid Jacket is really warm.The down has exceptionally good loftIng Capabilities and is also water resistant, courtesy of the special HyperDry impregnation. The Stormlock Shell fabric is Windproof and water resistant. It shuts out the Wind and shrugs off Light showers.Stretch Fleece panels on the sides and sleeves provide the full freedom of moveMent you need when things get a little more energetic.